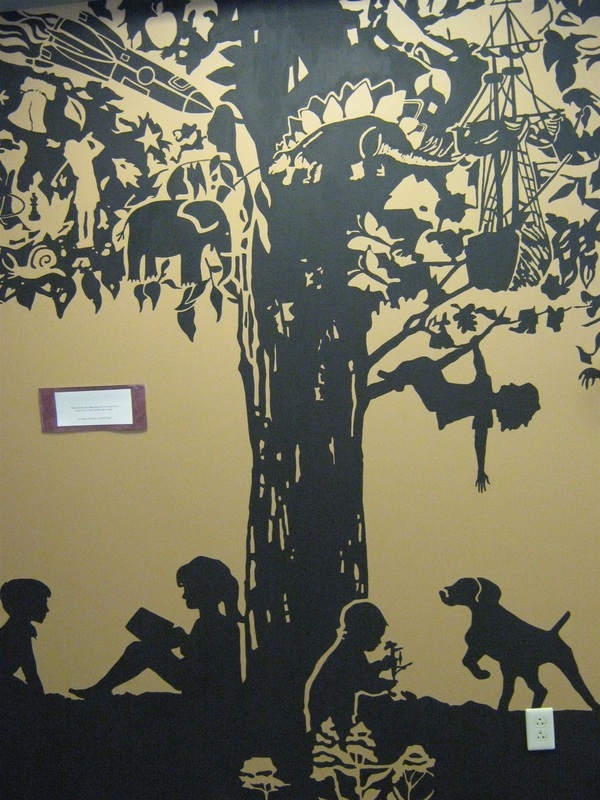 The photos below link to pages about interior and exterior murals that Julie Mader has been involved with to date. 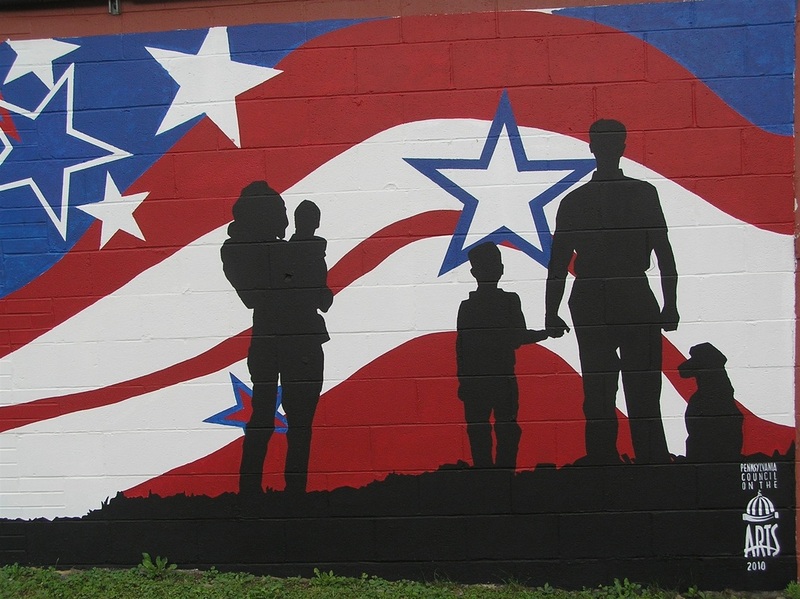 As you descend the mountain and enter the town of Ridgway on PA 219 you may catch a glimpse of this mural as you round the corner heading into town. I encourage you to pull into the parking lot at St. Leo's to take a good look at the 50' mural painted on the playground's wall. 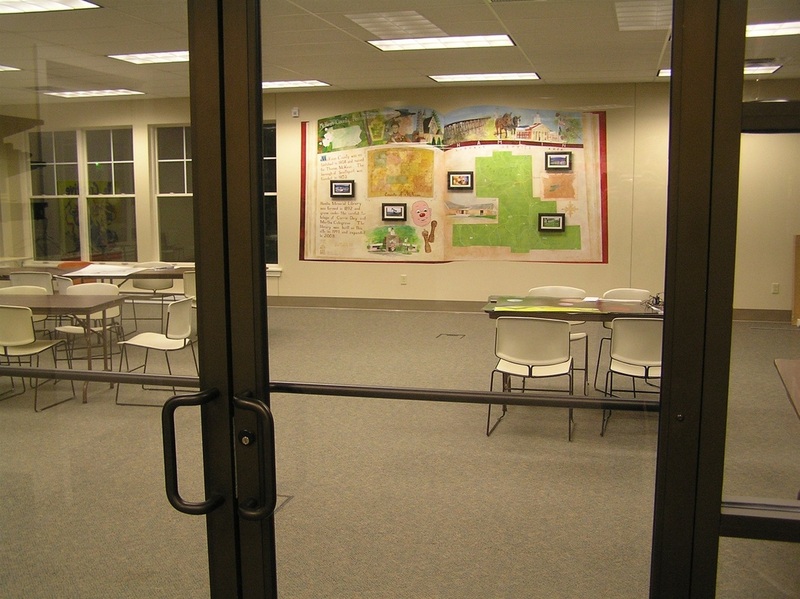 The Hamlin Memorial Library in Smethport, PA is host to 2 murals painted by Julie Mader. "Service Area" located in the meeting room serevs as a educational tool about the region, area landmarks are complimented by the scrolling digital photographs incorporated into the design.